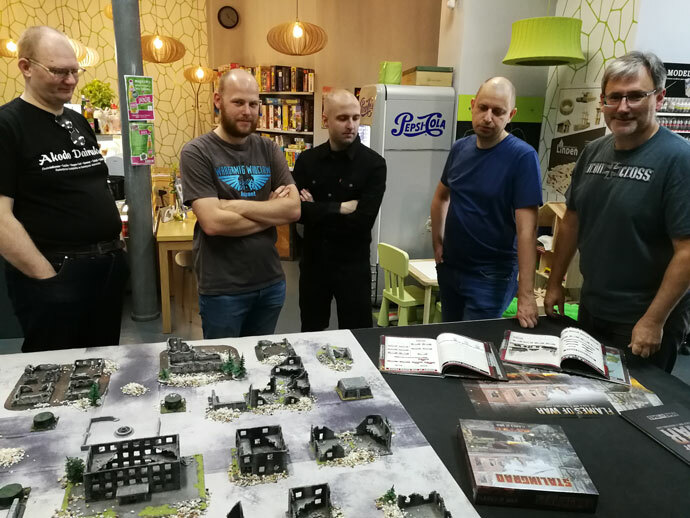 Last Saturday premiered two new books for Flames of War - Iron Cross and Enemy at the Gates. 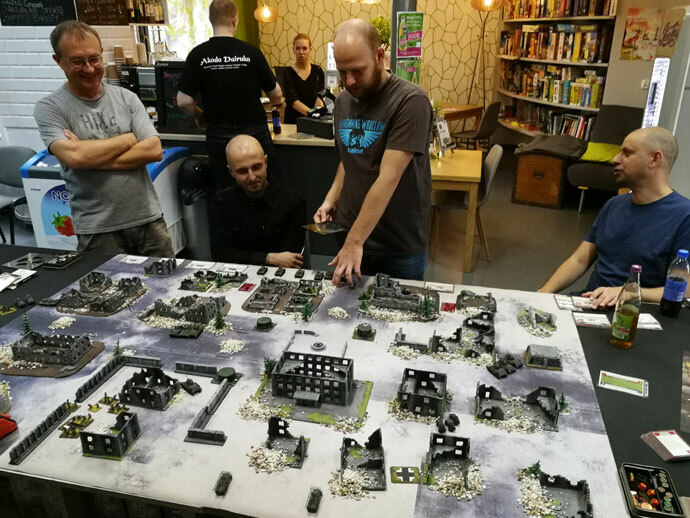 On this occasion, we set up a premiere event in Bolter Cafe, where new players arrived as well as veterans of Flames of War who remembered the first edition of this game. Both books focus on the organisation of German and Soviet troops on the Eastern Front in 1942-43, and thus on the middle of the war. The premiere is special and awaited by many, because for the first time since the introduction of the 4th edition of Flames of War, the Soviet army has appeared in the Mid War period. So we have the fifth army next to the current British, German, Italian and American. 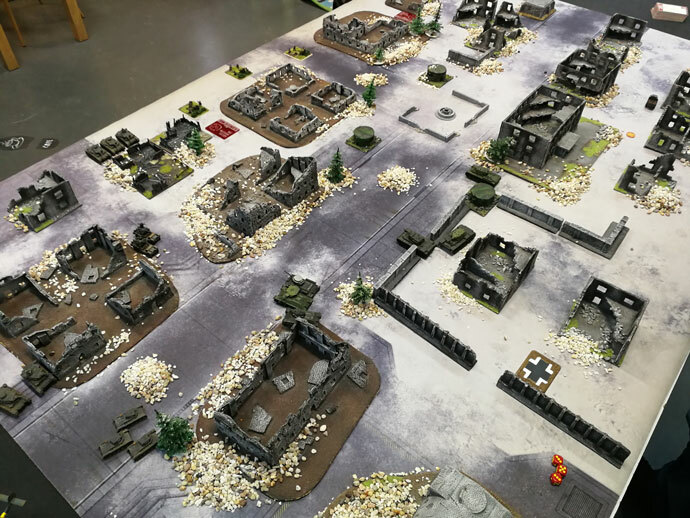 On the large table you could not only look at new army books, but also learn and play on a rather loose model of Stalingrad. With delicious coffee, we discussed different lists and options as well as the impact of the Command Cards on the game variety. We absolutely loved the cards that would allow us to capture enemy tanks with each of us imagining the faces of our enemies as we take their Tiger or Churchill from them. However, before this happens, you need to glue and paint your tanks. 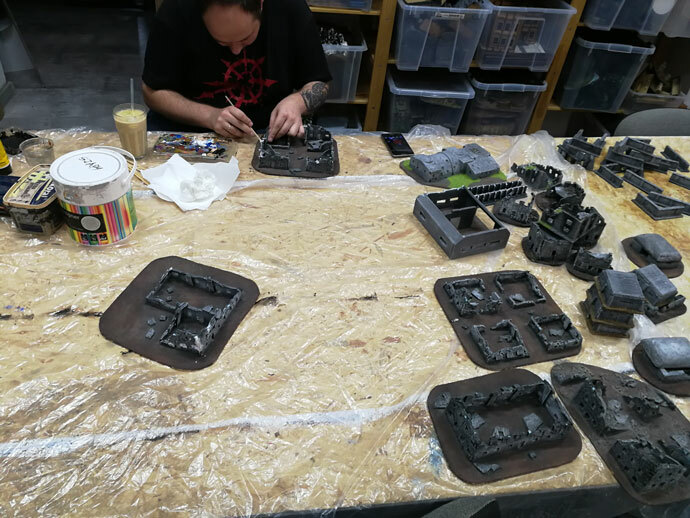 Battlefront exceeded the expectations of the players as most of the models are already plastic and not very demanding to build. The instructions are clear and models can be built by a seven-year-old in a very short time. We spent time in conversations and competitions in good company. Time passed so quickly we did not realise that the evening had already fallen and it was time to finish. We are waiting for more premieres, and above all, the start of the promised Stalingrad campaign. 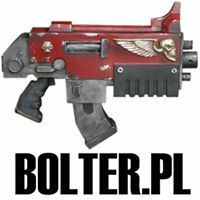 Meanwhile, on 23 September, we decided to organise the first tournament for the Mid War period at Bolter Cafe, for 100 points, which we would like to invite everyone to.